Welcome to the District 7120 Vocational Service Resource Folder. Vocational Service is the second avenue of service and the very essence of Rotary! Vocational training Teams provide expertise to either teach a skill or learn a new skill in the host country in one of six areas of focus. The foci are: Peace and Conflict Resolution, Disease Prevention and Treatment, Water and Sanitation, Maternal and Child Health, Basic Education and Literacy, and Economic and Community Development. They are funded by a Global Grant and usually include providing equipment or learning how to use equipment and techniques. Through the program, a team of Rotarians and non-Rotarians visits the country. The awards provide for the trip expenses excluding personal expenses and passport, visa and medical requirements. The purpose of the Vocational Training Team is to promote international understanding and goodwill through person-to-person contact. While abroad, team members have the opportunity to meet their professional counterparts and work with them. They may also give presentations to Rotary clubs and other groups about their home country. Members will be expected to share their experiences at various Rotary Clubs and events on their return home. 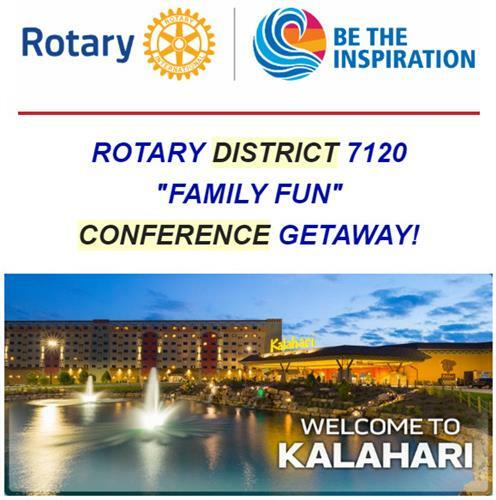 The Rotary Foundation provides round-trip air travel, meals, lodging, and group travel in their district. Team members pay only for travel insurance, medical shots if required and personal expenses during the trip. Any club may pursue a grant that includes a Vocational Training Team. Return visits may also be included. -Vocation Award Form - Due April 1st! !